This past August, out of the blue and quite unexpectedly, my LG G4 (VS986) smartphone became entangled in a never ending reboot cycle. I experienced long pauses on both the LG branded boot screen and the Verizon branded boot screen, followed by a quick black screen. The cycle would then repeat, continuing in a dreadful, never-ending infinite loop. I had owned the LG G4 for approximately 11 months before this incident occurred. Below is a video of the LG G4 bootloop in action. Twas a good old chap and I really did enjoy using the ol fella. I had a mostly trouble free relationship with the device. All was well until the nefarious BootLoop of Death (BLOD?) cycle reared its ugly head. Canon has been manufacturing high quality photography solutions for as long as I can remember. The Canon brand has gained well deserved prestige in the industry, by continually producing cutting edge photography and video equipment. I’d love to get my hands on a Canon DSLR. Owning one of these bad boys will quickly catapult you into the ranks of aspiring professionals and advanced photographers. The myriad settings and the fine grained controls built into these cameras allows you to experiment, adjust, tinker and really delve into advanced photography techniques, which will help you step up your game in order to capture more stunning images. Nowadays, these DSLR cameras are also fantastic tools for capturing stunning high definition video. I know many friends and colleagues who use these for filming skateboarding, snowboarding and all types of other activities. These Canon DSLRs produce crystal clear video quality that rivals, and many times bests, traditional high-end ‘camcorders’. Save $150 on the Canon EOS Rebel T5i at Best Buy*. Visit Best Buy to learn more. *offer valid 12/7-12/20. But what if the television in your living room looked so dramatically life-like and was so immersive that it transported you to new places? It’s time to forget virtual reality and check out the LG OLED TV at Best Buy. View REAL reality at its best, with unbelievable clarity in stunning OLED high definition. I’m personally excited about LG’s OLED TV due to the technological advances and break-throughs that it brings along with it. Traditional LED TV’s used inorganic LED’s as their backlighting mechanism, but they still maintained the same old Liquid Crystal Display (LCD) architecture that we’ve been using in HDTV’s for years. OLED is a whole new animal, utilizing organic light emitting diodes that function as the pixels themselves, leading to much better contrast, color and every other aspect of picture quality. Traditional LED and LCD HDTV’s can’t come close to this picture quality! Head on over to Best Buy, because you have to see LG’s OLED TV to believe it. If you want in on this beauty, Best Buy is offering this pinnacle of TV technology at the everyday price of $3499.99 (save $500). 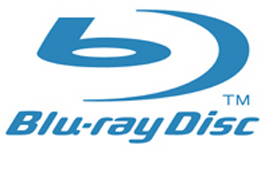 The Blu-ray Disc Association (BDA) have announced an updated Blu-ray Disc standard that will include 4K Ultra-HD (UHD) content. The update will allow for UHD content to be used on 50GB, 66GB and 100GB discs. The content will support up to 60 frames per second, will feature High Efficiency Video Coding (HEVC) compression technology and both high-dynamic range and wider color gamut. The first players should be available as early as spring 2015, with 4K Blu-ray Discs available as quickly Christmas 2015. With the prices of UHDTVs falling to near parity with Full HD (1080p) sets, and video components supporting the new HDMI 2.0 spec and HEVC codec, the only next step is providing the sources. Currently, 4k video is supplied through limited means. For example: certain UHDTVs from Samsung can stream 4k video from Netflix. A few high-end services provide first-run movies in 4k (at steep prices), and Sony has a proprietary 4k movie store with limited options from Sony Pictures. Victor Matsuda, global promotions chair for the BDA and VP of Sony Corp.’s Blu-ray group, argues physical discs are still the best way to consume media. “I think it’s very much in line with what we’ve experienced in the past: Packaged media offers a very controlled, stable, known environment, that’s fundamentally an advantage, compared to streaming services. The more information you’re trying to stream, it becomes more of a challenge for Internet-based services. Blu-ray Disc sales have surged recently to account for over 30% of the retail disc market. 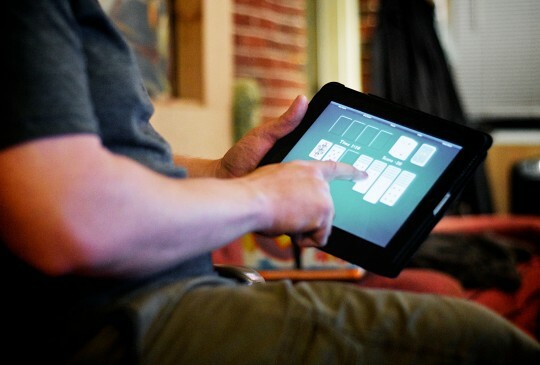 This market, as a whole, has been shrinking, but internet service providers have also been clamping down on bandwidth utilization, making physical discs attractive to some more than others. Roku has beaten Apple to the punch, as it were, by incorporating their streaming software platform into a consumer flat panel television using their own brand badge. The long rumored “Apple TV” that’s actually a TV hasn’t seen the light of day, but the Roku TV is here. Chinese TV manufacturers Hisense and TCL have announced they are now taking pre-orders for the Roku TV. There are many devices out now that have incorporated support for the Roku Stick, including Blu-ray Disc players, front projectors, televisions, and A/V receivers, but these TVs include the Roku software built in as part of the television’s operating system. In fact, there isn’t an Input button on the remote, and sources are selected from the Roku menu. Additionally, the TV can be controlled using a Roku remote control app. The TCL Roku TVs are available in a 40-inch, 48-inch, and 55-inch (all 1080p). The pre-orders are available from Amazon starting at $329 for the 40″ size, and a proposed shipping date of 2 to 3 weeks. for only $84.00. The Apple TV and Roku competitor features hundreds of available apps, including Netflix, Hulu Plus, Prime Instant Video, Showtime Anytime, WatchESPN, and more. Amazon’s “killer app” is the voice control using a microphone built into the remote. Speak a search and Amazon Fire TV will track it down.